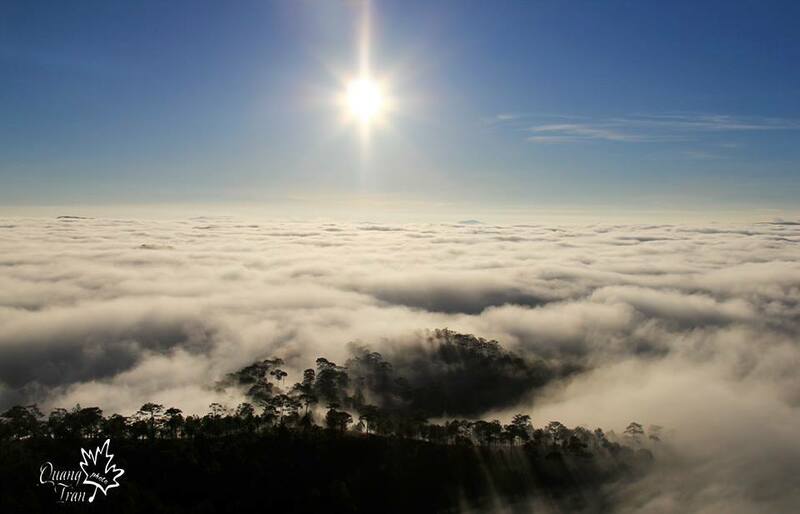 Lang Bian Mountain is also called Mother Mountain, including two peaks with its height of 2,169m above the sea level. The name of the mountain was originated from a legend about a passionate love. According to the old stories, there was a blue story of K’Lang (a boy of Lach minority people) and Ho-Bian (a girl of Chil minority people). 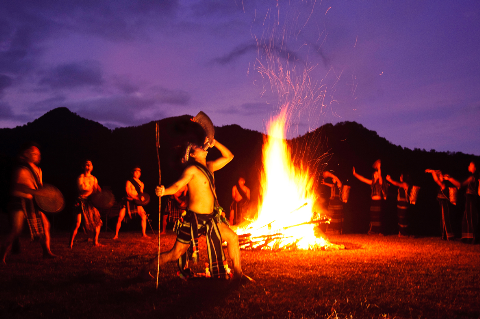 Because of belonging to the Chil tribe’s enemy, Ho-Bian couldn't get married to K'Lang; however, they decided to overcome their strict customs and got married. Then they left their hometown and came to live in a place in the top of the mountain. One day, Ho-Bian was ill, K’Lang managed to cure his wife but she couldn't get over her illness. K'Lang decided to go back Ho- Bian village to inform people about her illness. However, because Chil people hated him, they prepared a bow and a poisoned arrow to kill him. Suddenly, Ho-Bian went to stand before K'Lang to prevent her husband from the arrow. The arrow shot her and she died. K'Lang cried a lot and he also died. His tear turned into a scream that we call DanKia now. 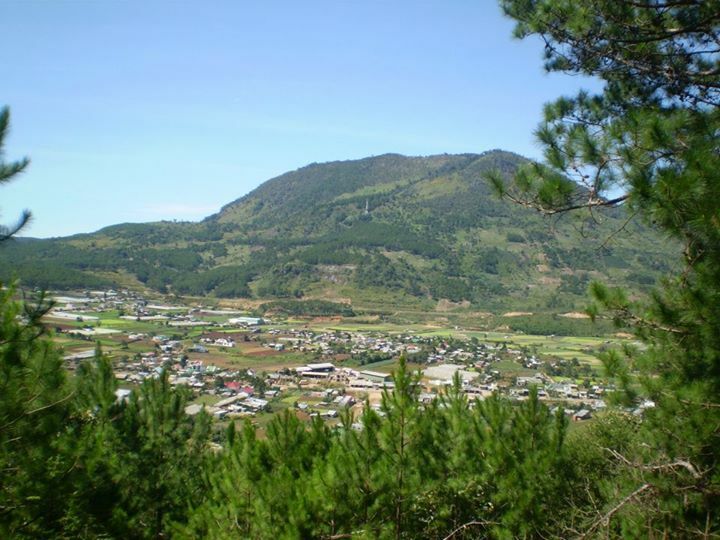 Lam Dong Province has an uneven terrain with 3 plateaus: Lang Bian - Da Lat, Dran - Lien Khuong, B'lao - Di Linh and a tableland, Huai - Cat Tien. Lang Bian plateau in the early 19th century was still a sparsely rugged land with few residents. The local people focus in some villages, the largest is Dankia. Over a century, the face of the Lang Bian Plateau changed much, except for a few places like the Cu hill against drought. 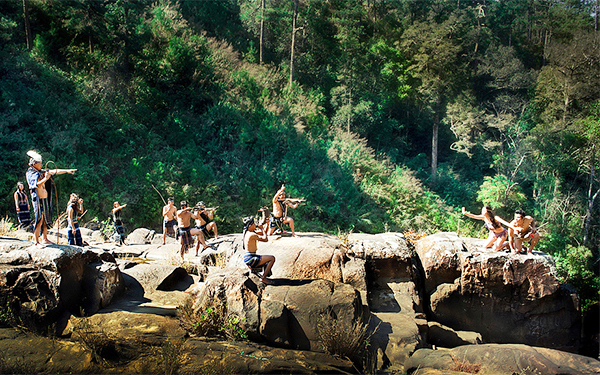 Some groups of young men like trying new games, such as hiking, conquering Lang Bian Moutain, paragliding, etc. The trip will be a test of their bravery to prove their power. 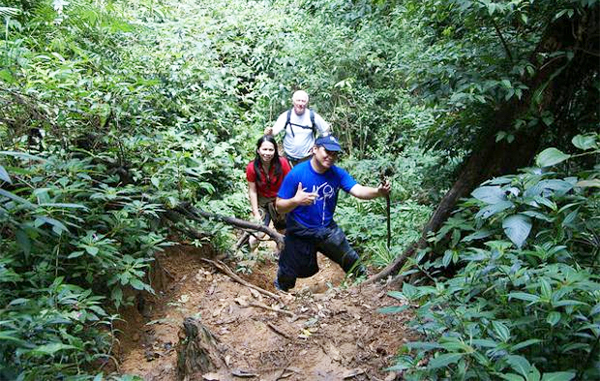 There are three ways to reach the top where Da Lat Tourism logo is placed: Uoat riding, walking or rope-climbing. There is also a 2-km-path through the forest up to the top. In recent years, the Lang Bian Mountain offers tourists with parasailing and rope-climbing to down the mountain. 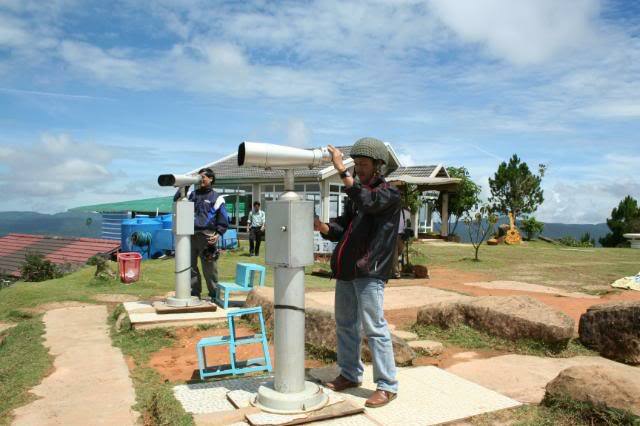 The most exciting impression of many tourists is that they sit on the Radar hilltop above 2000m level sea and daydream under the clouds floating away. 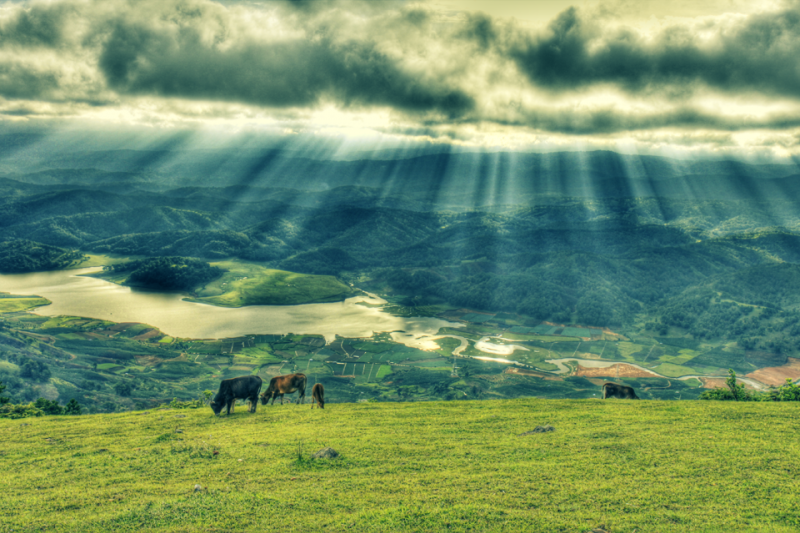 Standing here, tourists can have an overall look at Da Lat city, which appears as a watercolor painting. 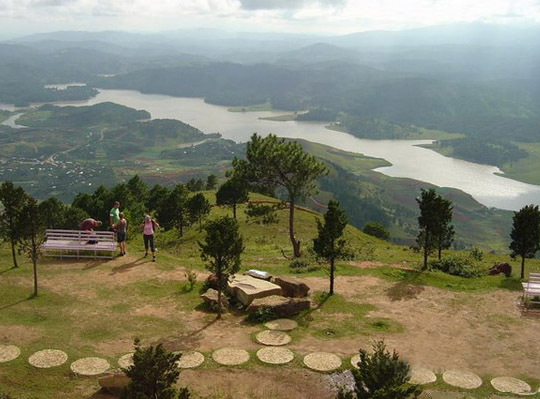 In the west of the Radar hill, Dankia - Suoi Vang Lake looks like a giant red silk outstanding of the vast green hills. 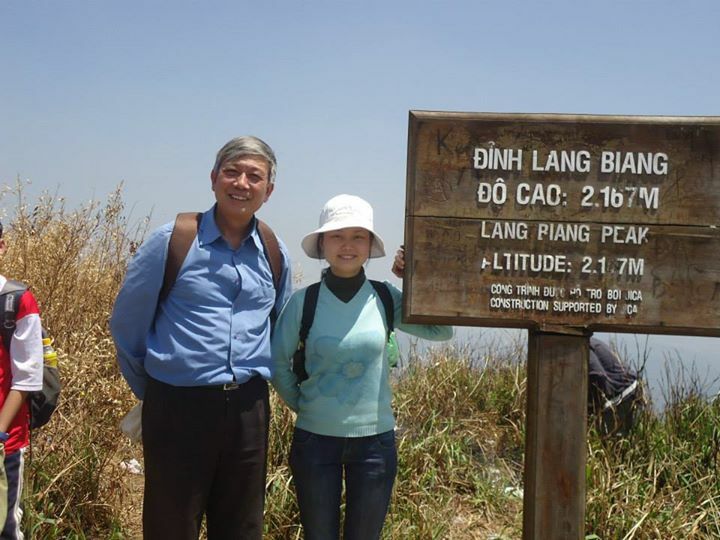 At the Lang Bian peak, there are abundant services such as restaurants, coffee shops, looking at Dalat city through binoculars from here, having photographs with jeeps, and riding horses. 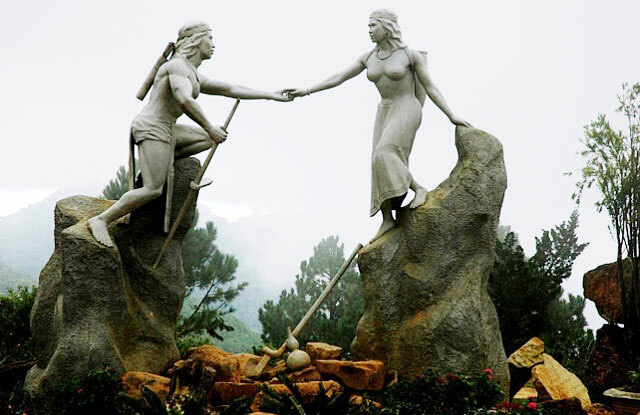 In particular, there is a garden in the top of the mountain, the rocky statues of K'lang and HoBian, souvenir sailing area, etc.